Brickell Key 1 and 2 are located on Brickell Key, a small gated island just off Brickell Avenue in the upscale Brickell /Financial District of Downtown Miami. A waterside boardwalk, shops, restaurants, and the exclusive Mandarin Oriental also call the “private little paradise” of Brickell Key home. As you cross the small bridge onto Brickell Avenue, the convenience of Miami International, Coral Gables, Coconut Grove, Miami Beach, and numerous cultural and entertainment venues, are an added bonus to the private serenity of life on the Key. Not to mention, the financial district for business people and entrepreneurs who prefer to avoid the hectic rush hour commute, is only minutes from home. Brickell Key 1 and 2 residents enjoy numerous amenities including a pool, tennis courts, gym, spa, racquetball and squash courts, a club house, concierge, valet, a social and kids room, and a BBQ area. Residence features include upscale kitchens and baths, spacious floor plans, assigned parking and generous balconies to enjoy the bay, ocean, and city views. The 22 story Brickell One was built in 1982. The 316, studio, 1, 2, 3, 4 and 5 bedroom residences offer beautiful ocean, bay, and city views with year round bay breezes. The 17 story Brickell Two was built in 1991 and features studio, 1, 2, and 3 bedroom residences and equally beautiful views of the ocean, bay, and Miami cityscape. BEAUTIFUL 1 BEDROOM 1 1/2 BATHS! GREAT VIEWS OF BAY, POOL AND BRICKELL SKYLINE! TILE FLOORS THROUGHOUT. ( 940 square feet including 116 of open balcony as per condo docs ) HIGHLY DESIRABLE SOUTHEAST EXPOSURE. TENANT OCCUPIED UNTIL OCTOBER 2019, RENTED AT $1700 PER MONTH TO EXCELLENT TENANTS. IN THE EVENT BUYERS NEED TO MOVE IN UNIT EARLIER TENANTS MIGHT AGREE TO MOVE OUT EARLIER. 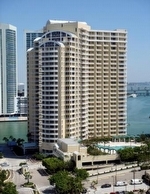 Available unit for sale with 1 bedroom and 1.5 bathrooms located on the 14th floor in the Brickell Key island. Perfect home to enjoy the city life with amazing views to the city and bay area. Located close to all amenities, work place, and major highways. Minutes away from Brickell City Center, Bayside, the American Airline Arena, and Miami Beach. This unit will not last. This 2 bedroom 2 bathroom unit features new wood floor, updated ceiling, decorative moldings, refinished walls, removal of the sink in the living area and installation in that space custom made furniture. William Vernon, with Richard Plummer Design, was in charge of the project. New kitchen with marble top and floor. New bath-rooms with marble on the walls and floors, high standard accessories and new furniture with special tops and mirrors. Removal of the Jacuzzi in the master bath and replaced with a steam shower. Both Closets remodeled. This unit has 2 bedrooms and 2 and a half bathrooms. With 1609 SQFT you will have plenty of space to feel at home. Built in 1982, Brickell Key 1 was the first condo tower to be developed on Brickell Key. It has 316 condo residences, a number of fabulous amenities for its residents including tennis courts, 24-hour gated security, concierge, pool, valet parking, Jacuzzi, and more. Its location puts it within a short walking distance from the shops, restaurants, and entertainment at Brickell City Centre and Mary Brickell Village. 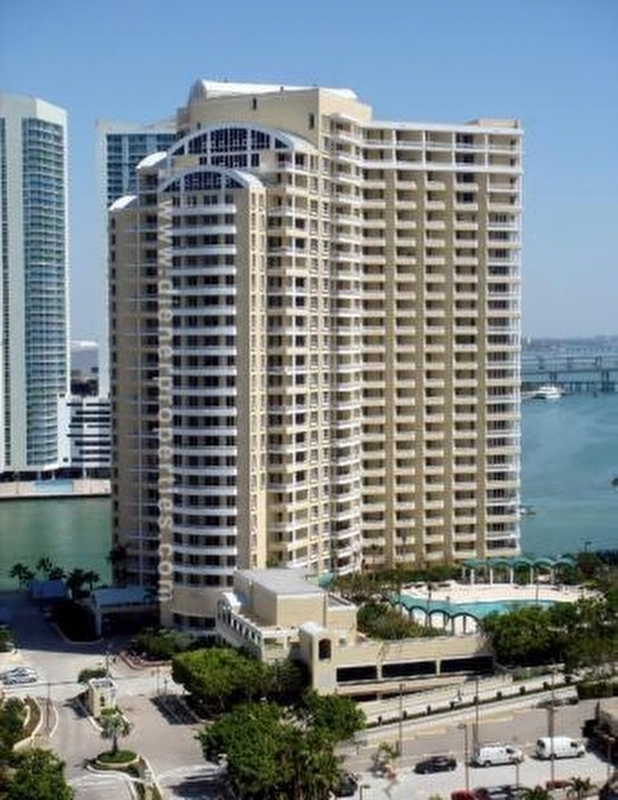 BEAUTIFUL 2BR/ 2BATH UNIT FOR SALE IN BRICKELL KEY ONE CONDOMINIUM. UPDATED KITCHEN WITH GRANITE COUNTER, UPDATED BATHROOMS, LARGE WALK-IN CLOSET IN THE MASTER BEDROOM, VERY SPACIOUS UNIT. BALCONY OVERLOOKS THE MIAMI SKYLINE! 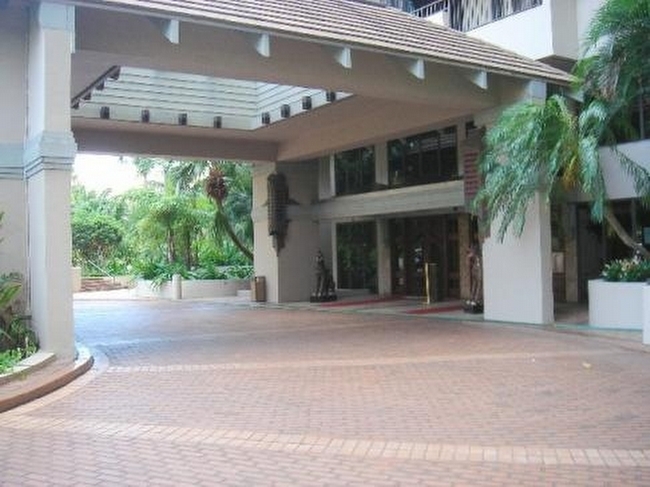 THE BUILDING HAS A GYM, POOL, TENNIS COURTS, BILLIARD ROOM, READING ROOM AND BEAUTIFUL GARDENS, FREE VALET PARKING AVAILABLE, HURRICANE SHUTTERS. WALK TO RESTAURANTS, SHOPS AND 5 STARS MANDARIN ORIENTAL. 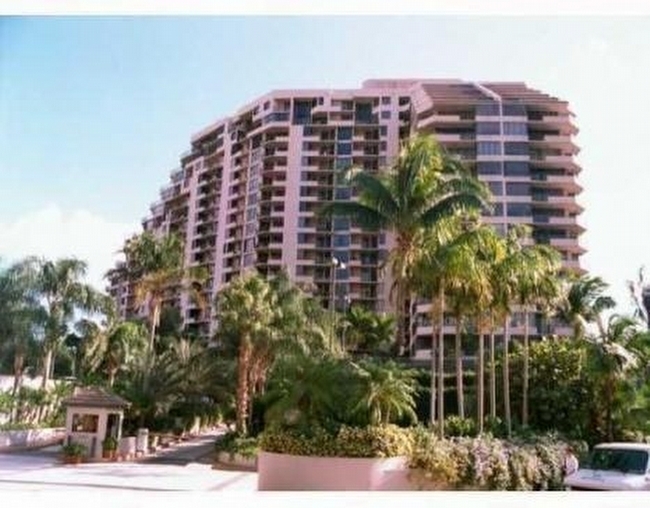 Spacious 2/2 condo at Brickell Key with two balconies. Amazing views. Walking distance to Brickell City Centre & Financial District. Amenities: Gym, new pool, BBQ area, tennis, 24 hours concierge, racquetball, one assigned parking Garage, storage area, library, spa, social and kids room, free valet parking, restaurants, beautiful park, children play grounds and the Mandarin Oriental Hotel. Aprox. 15 min drive to South Beach and Miami international airport. Yes! You can be the new owner of this 2-Bedrooms & 2 Baths condominium in the exclusive Brickell Key Island. Unit offer large balconies with great views. Walking distance or take the free 5 minutes trolley to Brickell Financial District. Brickell Key One is a full-service building offering great amenities: Access to a large swimming pool with sitting areas, tennis courts, Gym, BBQ area, 24 hours concierge, racquetball, assigned garage parking, library, spa, social room, children room, free valet parking. * While Living in Brickell Key Island you will feel like you are always in vacation surrounded by lush tropical landscaping. The island offers restaurants, Fresh Market, beauty salon, parks, children play grounds and the unique and rejuvenating walking/running path around the ocean-bay. REDUCED FOR QUICK SALE ! BEAUTIFUL AND SPACIOUS 2 BEDROOMS 2 BATHS !! 1464 S.F. !! LARGE OPEN BALCONY . HIGHLY DESIRABLE NE EXPOSURE, ENJOY VIEWS OF CITY LIGHTS, WATER, BRICKELL KEY GARDENS, AND PARK. IMPECCABLE, PROPERTY ! The SECOND BEDROOM WAS OPEN AND INCORPORATED TO LIVING AREA, CAN BE EASILY TURNED BACK TO A LARGE AND SPACIOUS 2ND BEDROOM. KITCHEN WAS UPDATED WITH NEW CABINETS AND APPLIANCES. MASTER BEDROOM HAS HUGE WALKING CLOSET, JACUZZI TUB, AND SEPARATE SHOWER. INCLUDES (1) STORAGE BIN AND ASSIGNED COVERED PARKING SPACE. RESORT STYLE AMENITIES GYM, TENNIS, BASKETBALL, RACQUETBALL, SAUNA, STEAM BILLIARDS, PLAYROOM, BIKE STORAGE AREA ETC... READY TO MOVE IN... MOTIVATED OWNER ! Price to sell. Wonderful views of the bay and city. spacious two bedroom, marble floors throughout, hurricane shutters in place. updated kitchen and bathrooms, build out walk-in closet in master bedroom. This is a unique location in the heart of Brickell. Only steps away from the fabulous Brickell City Centre and Mary Brickell Village. Don't miss this great opportunity! This is an extremely nice opportunity for both investors and buyers. Spacious condo features 2 bedrooms, 2 baths overlooking Brickell Key with partial bay view. Enjoy beautiful bamboo wood floors, remodeled kitchen and baths. 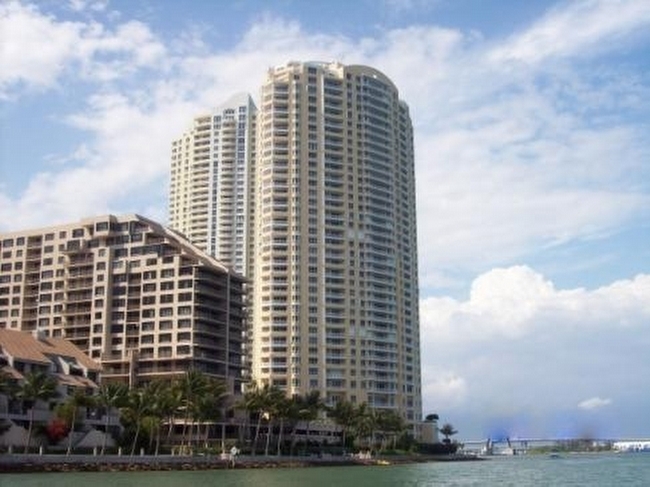 Excellent opportunity to live in the exclusive Brickell Key Island. Building offers guarded gate and 24 hour concierge, community pool, tennis, gym and children's play room. This is an unapproved short sale and subject to third party approval.See Broker Remarks. Spacious 3 bedrooms 3 full baths condo in Brickell Key One with bay, river and Brickell Key views. Unit offers private elevator and foyer shared by only one other unit, marble floors, custom shades, stainless steal appliances, granite counters, wood cabinets, hurricane accordion shutters and full size laundry room. Bedrooms are large enough that all have king beds and closets that have built-ins. Separate storage also included and one assigned parking space. International architect's personal residence. Completely remodeled by Scott Gershon International Designer with no expense spared. Large corner unit with private elevators, floor to ceiling windows and double exposure to bay and city. Includes 2 parking spaces; one with closed garage. 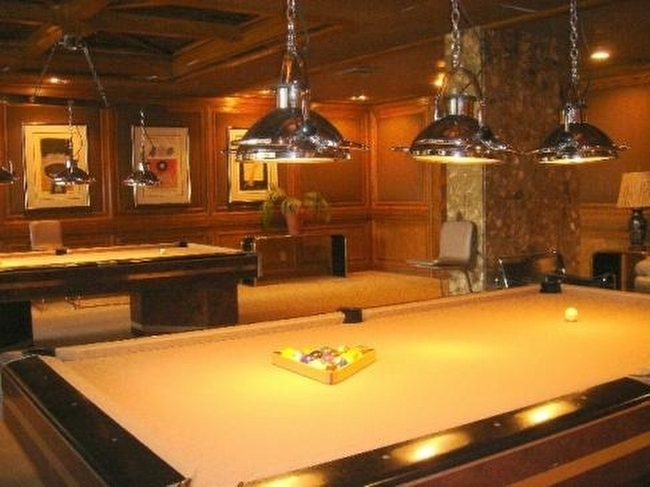 Building services include 24 hour concierge, security, valet, fitness center, billiard lounge, spa, pool, whirlpool, tennis/racquetball courts and extra storage. Lush landscaping throughout and in a great location. Rarely on the market, amazing 3 Bedrooms, 3 bathrooms corner unit. Great Miami skyline and bay views. Unit is priced to sell, one of the best buys in the Brickell Key and Brickell area. Great amenities in the building including pool, gym, tennis courts and more. Must see!! With floor-to-ceiling windows in living area, plus 2 large balconies, each facing Biscayne Bay and the Brickell skyline, this 3-bedroom at Brickell Key One has some of the best views in Miami. This nearly 2,000 sf unit is comfortable and spacious with large bedrooms and plenty of entertaining space. Bedrooms all have ample closets. Master bedroom boasts two walk-in closets and an oversized master bath. 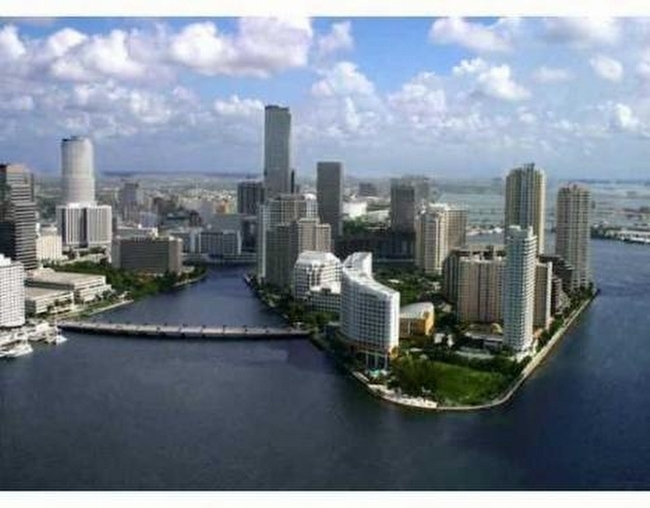 Property sits on north side of Brickell Key, walking distance to downtown Brickell and shops, marketplace, and cafes. 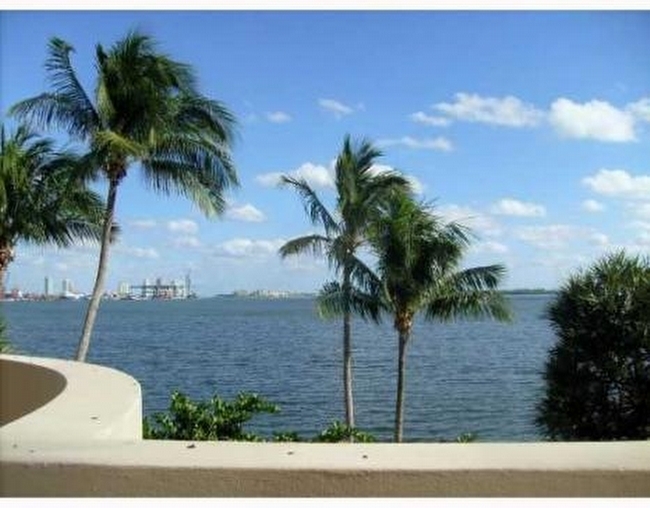 Building's tropical pool deck overlooks Biscayne Bay, with bay-walk adjacent to property. Amenities include outdoor BBQ area, children's playroom, fully equipped meeting room, gym with cardio and weight equipment, tennis, and racquetball courts, and front desk staff. Stunning Direct ocean Veiw just beautiful 1 Bdrm & 1.5 bath. At exclusive Brickell key.Compelete remoded Ceramic tile thru-out granite counter top stainless steel appliances, walk in closet and washer and dryer, The Building has concierge, swimming pool, gym, sauna,tennis & Racquelball courts, playroom, Conference Rooms, Outdoor playground and Indoor playroom for kids. jogging path around island, valet, Tennis and Security guard. available for May 1, 2019. Stunning 1 Bedroom, 1 and half Bathrooms condo at the exclusive Brickell Key. New hardwood floors, freshly painted, stainless steel appliances, walk in closet and washer and dryer. The Building has Concierge, Swimming Pool, Gym, Sauna, Playroom, Conference Rooms,Outodoor Playground and Indoor Playroom for kids, 1.3 miles of jogging path around the Isle, Jacuzzi, Tennis Court, Valet Parking, Tennis Court, Security Guard, Basketball court. 2/2 Brickell Key One unit, fabulous living on an exclusive island in the very heart of Miami, surrounded by water and provide beautiful unobstructed views while taking a relaxing walk contemplating the sunset or an early morning jog around the islands walking path. The island's amenities include a market place, restaurant, dry cleaners, beauty salon, a flower shop and more. Building features its own private amenities, which include concierge, valet parking, swimming pool, gym, Jacuzzi, party room and other exclusive services. A shuttle bus service circulates between the Brickell Metrorail/Metromover station and Brickell Key, with stops along Coral Way, SW 2nd Avenue, SW 8th and 10th streets, Brickell Avenue, and Brickell Bay Drive. GREAT OPPORTUNITY FOR GREAT LOCATION! Rarely on the market, amazing 3 Bedrooms, 3 bathrooms corner unit. Great Miami skyline and bay views. Great amenities in the building including pool, gym, tennis courts and more. Must see! !